Motorola has announced the third generation of its budget-friendly Moto G, having an all-improved specs and much better features than before. The Motorola Moto G 2015 sports a 5-inch HD display powered by 64-bit 1.4GHz quad core Qualcomm processor and comes with either 1GB RAM/8GB ROM or 2GB RAM/16GB ROM configuration. Both variants are dual SIM with LTE connectivity. The main camera also gets an upgrade, having 13MP resolution, f/2.0 aperture and dual-tone LED flash. In addition, the sensor used is the same one found on the flagship Nexus 6. Another major improvement is the IPX7 certification, which means that it is water-resistant and can survive submersion of up to 1 meter for 30 minutes. 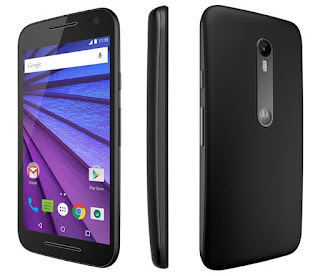 In India, the Moto G 3rd Gen will be sold for Rs. 11,999 and Rs. 12,999 for 1GB/8GB and 2GB/16Gb version respectively, while in the US it will retail for $179.99 and $219.99. With the recent comeback of now Lenovo-owned Motorola in the Philippines, we are sure that it will also arrive in our shore, the biggest questions now are when and how much.